During the fall 2015 convocation ceremony on Dec. 15, the College of Liberal Arts and Sciences at Arizona State University will honor their best and brightest undergraduates from the social sciences, natural sciences and humanities. These students — selected by their department or school for demonstrating excellence — will be awarded a Dean’s Medal to wear with their graduation regalia and will lead their fellow graduates during the processional. The Dean’s Medalists have impressed their professors, schools and departments by going above and beyond in their academic careers. Through advanced coursework, innovative strives in research and impressive GPAs, these students will impact communities locally and internationally as they go on to develop themselves professionally. Accomplishments: Escoto returned to pursue his degree after nine years in the workforce. He conducted undergraduate research with Assistant Professor Christy Till and earned the Ron Greeley Planetary Geology Scholarship, which is awarded to one student annually. Thesis: Volcanism in Hawaii and the processes that occur prior to eruption. Future Plans: Escoto is currently applying to doctorate programs in geological science. “(Eric) is an exemplary role model for the many non-traditional students … he demonstrates that life and work experience can be an asset, not a hindrance, in your education and there may be more doors open to you than perhaps you realized,” said Christy Till, assistant professor in the School of Earth and Space Exploration. Accomplishments: Bresnahan conducted undergraduate research on the role of public perception in the Roscoe “Fatty” Arbuckle trials in the 1920s and how this led to the rise of “yellow” journalism. Volunteer Work: In association with ASU and The Salvation Army, Bresnahan served as a tutor to underprivileged and underserved middle school-aged children in reading, writing and math comprehension. “Benjamin Bresnahan stands out as an undergraduate at ASU. He is bright, competitive, intellectually curious and intrigued with ideas. He has a strong and positive work ethic,” said Gayle Gullett, associate professor of history. Accomplishments: Originally from Puerto Rico, Cruz learned English when she came to the U.S. at the age of 12. She volunteered as a laboratory aide in the summer of 2014 at the Puerto Rico Department of Natural and Environmental Resources Fisheries Laboratory and in 2015 as a laboratory aide at ASU’s Neuer Laboratory conducting her own experiments involving water column modeling. Future Plans: Cruz has been applying to graduate schools to continue studying the biological carbon pump in the ocean and the mechanisms that drive it. “(Bianca) impressed me immediately by her intelligence and drive and motivation,” said Susanne Neuer, professor in the School of Life Sciences. Accomplishments: Beyond completing two bachelor’s degrees as an honors student, Goodwin worked as a research assistant in the Cognitive Science Prototype Abstraction Lab for one semester before starting her honors thesis work with the Embodied Cognition Lab. Thesis: Goodwin’s thesis focused on electrical activity in the brain and how performing a task with a partner increases motor-neuron activity. Her work, built upon findings of a graduate student, included collecting and analyzing complex data. Dr. Art Glenberg, director of the Embodied Cognition Lab, anticipates using her findings in an upcoming publication in a prominent journal. Future Plans: Goodwin plans on going into full-time ministry when she graduates. “(Brenna) has shown strong performance in every aspect of our program. … We are extremely happy to recognize (her) achievements with the psychology department’s Dean’s Medal,” said Michelle Shiota, associate professor of psychology. Accomplishments: Johnson has a passion for improving the lives of others, locally and internationally. For the past two years, Johnson participated in a local event to give away free dental services. She is a long-standing volunteer at a senior living home, has worked with abused and underprivileged children, served meals to homeless individuals and traveled to Ecuador to improve teaching techniques. Future Plans: Johnson plans to pursue a graduate degree in marriage and family therapy. “Chanelle’s compassion, thoughtfulness and dedication to improving the lives of others coupled with her outstanding academic record have impressed so many of us in the Sanford School community,” said Lois Goldblatt, an academic success coordinator. Accomplishments: Inglis has worked with the Center for the Study of Religion and Conflict, assisting Dr. Lenka Bustilkova on research into the far-right groups of Ukraine. He also co-founded a small-run publishing house for local art, poetry and music and has been playing in shows with his band and exhibiting his photography since 2010. Thesis: Inglis’ honors thesis, entitled “Curation and Hegemony,” deals with the dynamics of international recognition of secessionist states. Future Plans: Inglis plans to pursue a master’s degree in comparative history at Central European University. “Cody embodies the core tenets of the school … his academic research and personal life engage political phenomena within social contexts at all levels of analysis: local, national and global,” said Richard Herrera, associate director of the School of Politics and Global Studies. Accomplishments: Worsnup changed his major to math after taking one course. He enhanced his advanced mathematics education through research internships in commutative algebra at the University of California, Los Angeles and foundational mathematics at the University of Hawaii at Hilo. Future Plans: Upon graduation, Worsnup plans to become a naval aviator in the Navy. While in the Navy, he wants to pursue a PhD with focused studies in space systems in hopes of becoming an astronaut one day. “Mr. Worsnup is an outstanding example of what it means to live the art and science of mathematics,” said Tracey Hayes on behalf of the School of Mathematical and Statistical Science scholarship and awards committee. Accomplishments: Kaba showcased a passion for learning and an invaluable commitment to the School of Geographical Sciences and Urban Planning, impressing her professors with her preparation, attention to detail and probing questions. Thesis: Kaba’s honors thesis was inspired by the Hole-in-the-Rock at Papago Park and how this phenomenon was formed. As a part of her research, she mastered how to use one of ASU’s powerful electron microscopes. Her research will be submitted to the prestigious Earth Surface Processes and Landforms serial of the British Geomorphological Research Society. “We feel very lucky to have been Emily’s academic home,” said Patricia Gober, interim director of the School of Geographical Sciences and Urban Planning. Accomplishments: Fleming will be completing concurrent degrees in business law and classics in Latin. She was a member of the Dean’s List every semester at ASU and is a member of Eta Sigma Phi, an honorary society for classical studies. While completing her studies she also tutored and taught young children. Future Plans: Fleming has been accepted to several prestigious law schools and plans to attend one in the fall. Accomplishments: A recipient of the 2015 Biochemistry Award, Sussman has been working in Professor Neal Woodbury’s laboratory at the Biodesign Institute on projects involving photosynthetic reaction centers as part of her honors thesis. She is expected to be a co-author on at least one of the papers that result from the research. Future Plans: Sussman plans to attend graduate school to pursue a doctorate degree in biochemistry. “(Hallie) serves as a great example of a molecular sciences student in that she has worked hard both on understanding at a deep level the operation of (bio)molecules and how to apply this understanding to create solutions to real-world problems,” said Kevin Redding, chair of the undergraduate program committee for the School of Molecular Sciences. Accomplishments: Cornelison returned to school after gaining military experience. As a student researcher, he conducted renovations on a radio and implemented software-based signal processing for the telescopes under the guidance of Dr. Christopher Groppi. “His academic accomplishments are impressive, and he is certainly a student we should be very proud of,” said Ixchell Paape, the academic manager of the physics department. Accomplishments: Bruno is a first generation student who demonstrated determination to succeed. 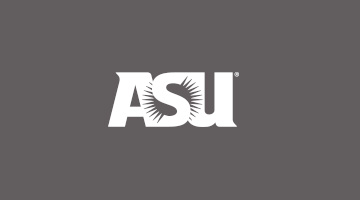 He was accepted to ASU as a transfer student in the spring of 2014. He recently joined the Golden Key International Honor Society. Future Plans: Bruno hopes to continue his education by attending law school. “(John) … is a good example of overcoming and succeeding in academia,” said Frank Piña, assistant director of academic services in the School of Social Transformation. Accomplishments: Peterson was selected as a Dean’s Medalist for his range of community service, including membership in the Student Planning Association and the Tempe Bicycle Coalition, extensive work at Tempe’s Escalante Community Garden and an internship with the City of Tempe’s Community Development Office. “Justin is really dedicated, committed to community service and a high-achieving student,” said Dr. Kevin McHugh, associate professor in the School of Geographical Sciences and Urban Planning. Accomplishments: Leben was the first-prize winner of the English department’s 2015 Swarthout Poetry Award, and he has won a number of writing awards. In addition to his activities in creative writing, Leben was selected to participate in the Kakehashi Project, a student exchange program between Japan and the United States. “(Noah) strikes us as not only a top-notch English student and creative writer, but as the ideal well-rounded, wide-ranging undergraduate we all hope to find in our classes,” said Robert S. Sturges, professor of English. Accomplishments: In 2014, Valenzuela was awarded one of the top scholarships in the Hugh Downs School of Human Communication. She served as an undergraduate teaching assistant and as a classroom apprentice, helping students succeed in their classes. Future Plans: Valenzuela plans to go to graduate school. Accomplishments: Pena, an Army veteran, was selected as a Dean’s Medalist for her excellence in student engagement. Beyond her academic achievements, she also participated in a health and environment lab internship at the School of Human Evolution and Social Change. “She has worked diligently and successfully to balance both work and school,” said Stefanie Bobar, academic success specialist in the School of Human Evolution and Social Change. Accomplishments: Wendell served eight years in the U.S. Army Reserve and three years in Iraq as an infantry officer in the U.S. Army. He received a Bachelor of Arts in sociology and returned to ASU for a second degree in economics. Future Plans: Friedl plans to pursue a graduate degree in cognitive psychology with an emphasis on decision neuroscience and neuroeconomics. “It is truly an honor for the department to nominate Wendel Friedl as the department’s CLAS Dean’s Medalist,” said Jose Mendez, chair of the awards committee for the economics department.